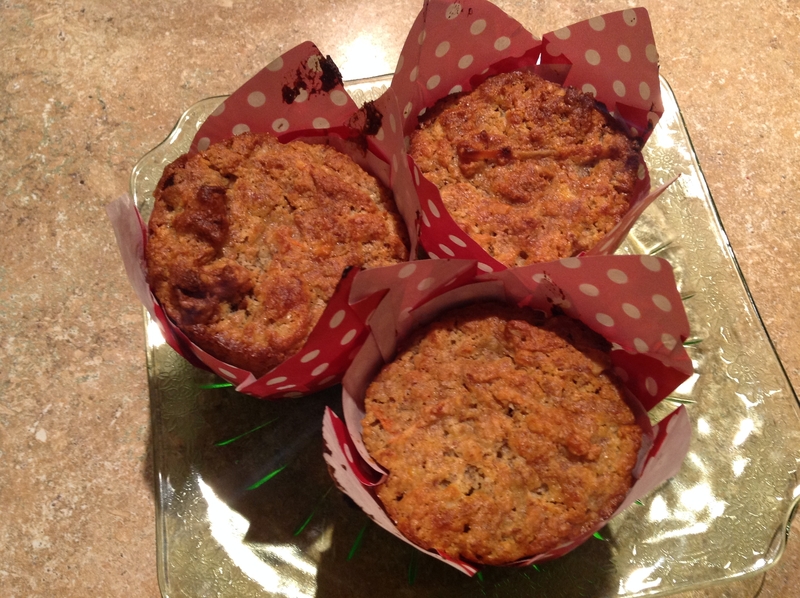 As you know, I just love to cook and my latest creative food venture is the following healthy muffin recipe that I worked and worked to get to perfection. I hope you agree! I’ve struggled with gluten intolerance, so I wanted to create an incredibly tasty gluten-free muffin. Give this a try. I bet you can’t have just one. Line muffin tins with paper liners or lightly oil with coconut oil, butter or canola oil. Mix wet and dry ingredients separately, then fold dry ingredients into wet mixture. Divide batter into muffin cups. This recipe makes 12 to 14 muffins. Bake for about 35 minutes at 350 degrees. This entry was posted in Uncategorized and tagged healthy recipes, muffin by Suzanne Morgan. Bookmark the permalink.